When you ask what a white aura means, it's important to understand that such auras are fairly rare. This color of aura is one of purity and angelic energies. The meaning of a white aura is so special that when it is seen, it is typically that of a newborn or very young child. It is the energy of the purest kind and without corruption. That's why a white aura is often seen in very young children. However, a highly spiritually developed person can emit a white aura. This may be temporary since it is difficult to maintain the energy level required to generate a white aura. A person who has achieved enlightenment and has established a strong spiritual connection with the divine will generate a white aura. Also, an individual that is on the verge of ascension will radiate a white aura. If you have been doing the work to attain a higher level of consciousness and spirituality, then you may have transformed your energies to the same vibration (frequency) of divinity. The white aura may be temporary since it is difficult to sustain and contain this high frequency energy. The only danger of a white aura is the naivete that may come with a person achieving purity of thought and purpose. This creates an openness that if the person isn't seasoned by life may make her/him vulnerable to others with dishonorable intentions. When a person achieves the level of purity needed to generate a white aura, they often displace their own spiritual achievement onto others. This means they may not recognize the reality that other people haven't done the kind of spiritual work necessary to reach the same level of spirituality. This is very dangerous for some individuals. Their openness and mindset can be easily exploited if they no longer possess discernment. If their current state of being is to see only good in all people and situations, they can easily overlook possible manipulation by others. That sensation of utopia that comes from achieving a high level of enlightenment and spiritual love can also make you numb to this type of threat. The more common white aura appears as streaks of white that radiate through other auric colors. This is found in spiritually adept individuals as well as some psychics who are connected to divinity and what is referred to as the other side. These shards or slivers of white in an aura are often seen on different occasions. 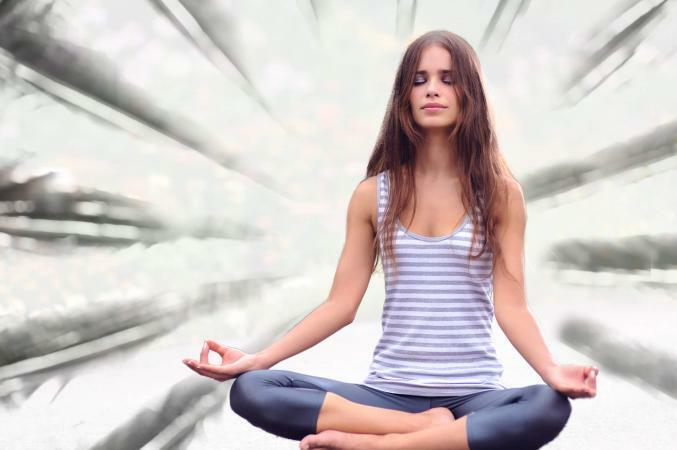 White streaks can appear in an aura when a person is meditating. A person in deep worship, such as during a church service or other religious ceremony, may radiate a white aura or auric streaks. During a yoga session, it is possible to achieve that divine connection and have white energy emanate throughout your aura. The chakra system of someone with a white streaked aura or a true white aura is open. The chakras are in balance and running at an optimum level. This flow of energy in turn raises the person's frequency and helps fuel that connection with divinity. A person with this kind of energy flow enjoys health and the seven bodies of the aura are in alignment and harmony. Once you know what it means when your aura is white, you can set a goal for your spiritual work. This knowledge can help you prepare for any vulnerability that may come with this type of alignment with divinity.